Given my universal love for food, I aim to communicate recipes from all around the world. There may be times when my Indian background kicks in and I will share my favorite traditional recipes, or take a particular recipe and give it an Indian twist. Cooking Indian food can be daunting for someone who is newer to cooking or new to Indian cuisine. This is often because of the sheer number of exotic spices or steps listed in a recipe. Please do not let this inhibit you from trying an Indian recipe. Once you master an Indian recipe from one region, you will be able to cook several other dishes from that region as well as muster the courage to experiment recipes from other parts of India. Here is some information and useful tips that should cheer you on to cook an Indian meal. 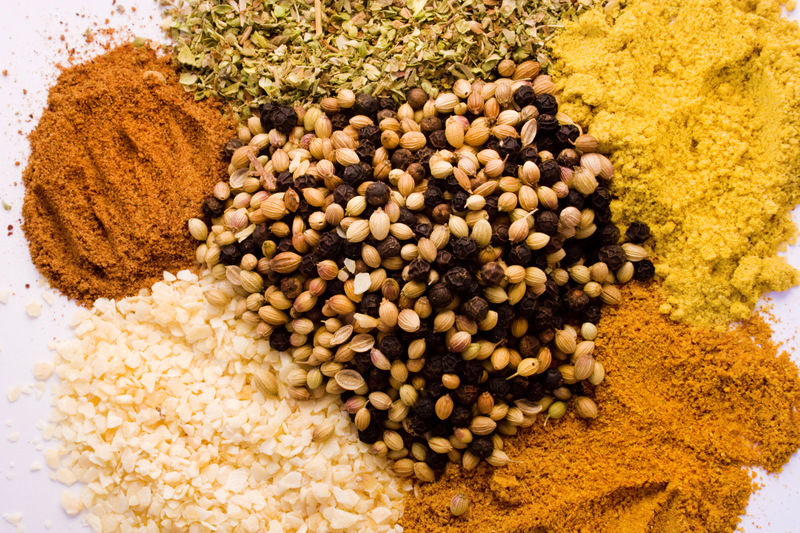 I strive to use ingredients that are easily available and most major grocery stores now carry a lot of Indian Spices. There may be a few recipes that have spices that you many not find in the major grocery stores, please do not let that turn you away from trying that recipe. Any sizable town or city in the US usually has an Indian grocery store. This website: http://www.thokalath.com/grocery/ , has an interactive map that lists Indian, Pakistani and Bangladeshi grocery stores by each state. Just click on the state you are in and find the Indian/Pakistani/ Bangladeshi grocery stores nearest to you. If you do not live near one of these ethnic specialty stores, you can order spices online at Amazon.com or GroceryBabu.com. If both these avenues fail you, please feel free to email me or leave a comment asking for an alternative to the ingredient. 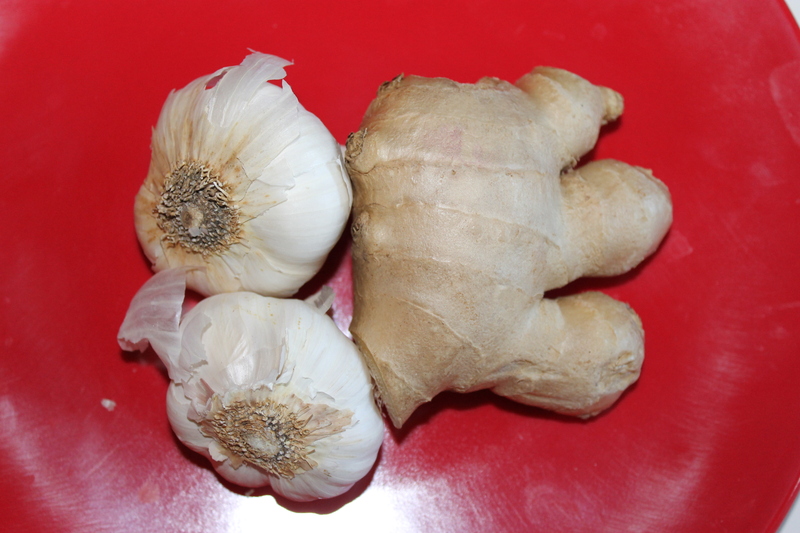 Garlic and Ginger Paste: A lot of Indian recipes call for Garlic paste and/or Indian paste. While these are inexpensive and easy to find, you can easily make your own ginger-garlic paste and refrigerate it in an air-tight container. I have added this recipe at the end of this page. Holy Trinity of Indian Cuisine: Onions, garlic and ginger. Non-stick pots and pans: Most Indian dishes start off with sautéing heaps of diced onions on medium heat till they are golden brown. You will require a lot of oil to do this, unless you have non-stick pots and pans. Using non-stick pots and pans ensures a healthier meal and one that cooks faster. Spice Grinder: Freshly ground spices are always the best form of dried spices. So if you are in the mood for roasting cumin and coriander seeds and then grinding them, you will be well rewarded for your efforts. You can store these in your pantry in air-tight containers and as long as there isn’t too much humidity where you live these spices will retain their potency for 6-8 months. I use a good old coffee grinder to grind my spices. Just make it sure you clean the grinder well, unless you want a spiced coffee! Read the whole recipe before making it: While this essential for all recipes it is extremely pertinent with a cuisine you are not very familiar with. In a food processor or blender puree together the ginger and garlic. Add the water if you need it to facilitate the pureeing process. The above mixture is the freshest and purest form of ginger-garlic paste. If you are not going to consume the whole amount in 2-3 days, add the oil and salt into the mixture. If you store this mixture with the oil and salt in an air tight container it will stay good for 10-14 days.